$2.58 Per Sq. Ft. NNN / Mo. $1.07 per Sq. Ft. / Mo. Minimum lease term 12 Months and Max Term 17 Months (or to be negotiated with Landlord). Excellent Hwy Visibility with Easy Access and Convenient Parking for Customers. 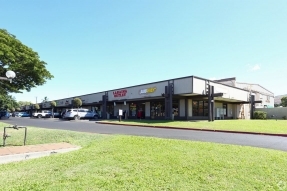 Centrally located at main Lahaina intersection, just two blocks from Front Street and The Outlets of Maui. Approx. 800 SF of Turn Key Retail/Office Space with a Private Restroom.